Discussion in 'UFC Discussion' started by Tramero, Aug 18, 2015. You must also think Lennox Lewis is the GOAT too right? No because boxing has a list of guys with similar or better accomplishments. Rocky Marciano retired undefeated. Mma doesn't have that yet. 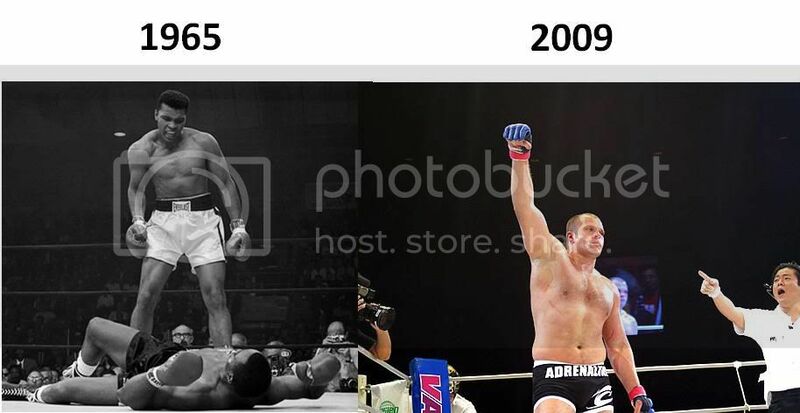 And GSP isn't the goat. Fedor is. Then Anderson. Lewis is better than Ali then? i think people who think gsp is the goat actually has more than one reason (retired a champ) to think that he's a goat. what do you think about what i think? and how many ''think'' can you count in this post? It's not that those are the only criteria for becoming GOAT. It's a great accomplishment, considering GSP's level of opponents, but it doesn't in itself make him GOAT. I believe Lennox Lewis is the greatest heavyweight of all time. Ali would have been too small for him. Lenox is a boxing GOAt candidate. GSP is the MMA WW GOAT. Period. I think Anderson is the GOAT, but GSP has an extremely strong case and is definitely closer to MMA GOAT than Lennox is to boxing GOAT. I think Anderson* is the GOAT, but GSP has an extremely strong case and is definitely closer to MMA GOAT than Lennox is to boxing GOAT. I dont think GSP is the GOAT. GSP is the GOAT. If JJ gets his sh&^ together maybe he will be the next one. Fedor, GSP, Next? (for me anyway) Did anyone really think that Marciano could have beat Ali, Tyson or Holmes? So the analogy of retiring undefeated and being the GOAT doesnt hold water.